A native of New Orleans, Chef Phillip Lopez was born into a military family, traveling the world in his youth. Spending time in Germany, France, Spain, Austria and parts of Asia, Phillip Lopez's international worldview influenced his palate as a chef. He returned to his New Orleans roots in 2004, working at Chef John Besh's flagship, Restaurant August--he spent a cumulative 6 years under Besh's tutelage before and after Katrina- with a stint at Michel Richard's Citronelle in between. Chef Phillip Lopez sought to escape the confines of traditional French Creole cuisine without forfeiting the DNA of its cherished past. Sensing a stagnation in the New Orleans food scene, he decided to venture out on his own in 2009. Rebel Restaurant Group was born from the idea to always defy the norm, breathe fearlessness into every plate, inspire the next generation of cooks to be free with their creativity and to help evolve New Orleans's everlasting cuisine. Chef Phillip Lopez is the Executive Chef, Creative Director and Owner of six culinary concepts in New Orleans, Louisiana. 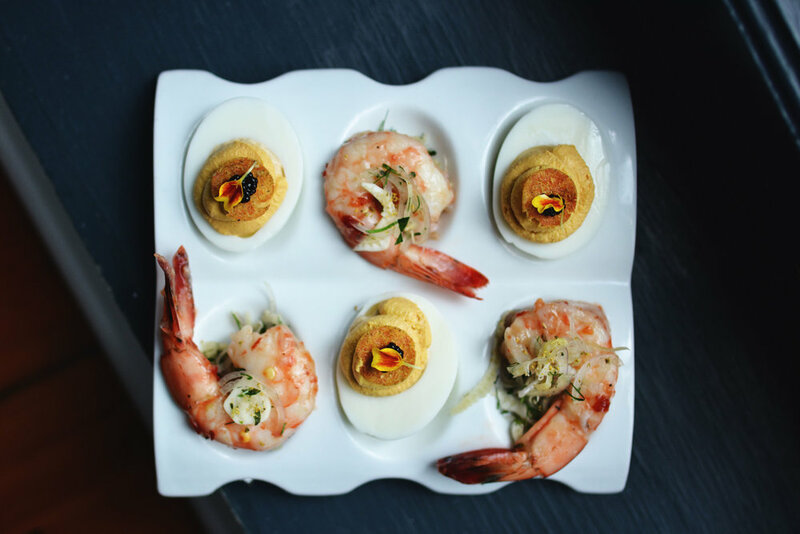 Meet Phillip Lopez, Executive Chef, Creative Director and owner of Rebel Restaurant Group in New Orleans, who infuses a playful sensibility into his cooking philosophy and all of his restaurant concepts. Square Root is located at 1800 Magazine St., in the Lower Garden District of New Orleans, Louisiana and is conveniently situated in close proximity to downtown and all it has to offer. More note worthy is that Square Root is the only "Chef's Tasting" restaurant in the entire Gulf South. 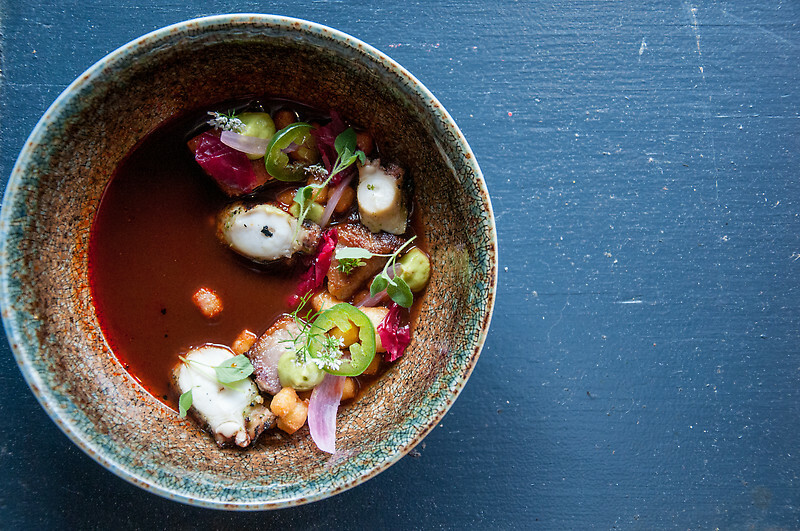 It offers a seven to fifteen course menu of progressive bites influenced by Chef Phillip L. Lopez's worldly travels rooted with fresh Louisiana ingredients. Tickets for the sixteen seat Chef's table experience are highly recommended and can be made in advance up to 30 days through Squarerootnola.com or by clicking the link below. All dietary restrictions and allergies are accommodated with sufficient notice and will be confirmed prior to your arrival. Your individual menu items will be adjusted to meet the needs of your dietary restritions to create a flawless and uninterrupted experience. Beverage options include; reserve wine pairing, mixed beverage pairing, non-alcoholic pairing or you can order a la carte beverages off the menu as well. We require that these options be selected prior to your arrival at the time of your ticket purchase to give our staff ample time to prepare for your needs. We hope that you join us on this journey of passion, rebirth and exploration in experiencing the food of the "New" New Orleans. 🍾 Square Root invites you to ring in 2018 with a tasting experience like no other! 🎉 Join Square @rootnola & Square Root as we top off 2017 with our BALLER BASH! We're offering 3 unique tasting experiences (5:00 PM, 6:45 PM & 9:00 PM) at Square Root and keeping Root open through midnight and beyond. There are only 16 seats available per seating at Square Root, so book your reservation at square-root.tocktix.com ASAP! 🥂 ALSO, truffle, caviar & bubble add ons are available at your leisure. 🎟 Link in bio for tickets! For warding off vampires... Happy Halloween from Square Root! This October, come dine at Square Root! Tickets are now available online for 7 course, 10 course & 15 course tastings. Also opt for a sommelier wine pairing, mixed beverage pairing, non-alcoholic beverage pairing or a la carte beverage options by @RootNOLA. See the link in bio for reservations! Taste Square Root like never before! Our new ticketing system allows you to choose between a 7 course ($75), 10 course ($95) and 15 course ($150) - Tuesday-Saturday. Opt for sommelier wine pairings, a mixed beverage pairing, non-alcoholic beverage pairings or simply wait to choose a la carte beverage options. Book your seating now on our website via Tocktix.com! Link in bio. ROOT is located at 1800 Magazine St., in the Lower Garden District of New Orleans, LA and sits directly above Square Root on the second floor. It opened in November of 2011 to great acclaim gaining Best New Restaurant in New Orleans Magazine and Top 50 Best Restaurants in the Country by Bon Appétit Magazine all within the first year. It recently moved from its original location of 200 Julia St. to it's newer digs at 1800 Magazine in May of 2016. 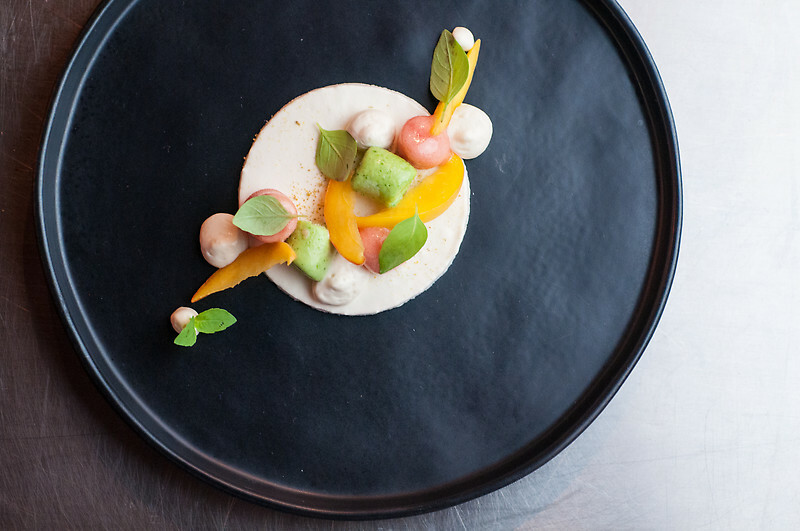 ROOT continues to push the boundaries of technique, flavor and execution, utilizing Louisiana's seasonal harvest while giving praise to each individual ingredient. ROOT is defined by inception, birth and beginning. It is Chef Phillip Lopez's "inception" of a lifelong dream to own a restaurant that evolves a new generation of chefs in New Orleans, the "birth" of an idea on progressive Louisiana Cuisine and the "beginning" of a revolution to always strive to be better than the day before in food and service. The Test Kitchen is a multifunctional space located adjacent to Square Root and Root. It has direct access from ROOT on the second floor but also has its own private street entrance located at 1804 Hastings Place. The Test Kitchen was designed for two reasons: to be an oasis for our chefs to help develop the next generation of food for New Orleans and to be unlimited in one's ability to research, test, experiment and create. When not being used for research and development, The Test Kitchen is converted into a private dining space with a max accommodation of 30 guests for sit down dinner or 50 guests for a cocktail reception. The Test Kitchen space can also be combined with ROOT's space to expand seating an accommodate more guests and a larger scale experience. Each event is curated by Chef Phillip L. Lopez and the Square Root team with the single idea to create memorable and extraordinary events showcasing modern technique coupled with southern hospitality. 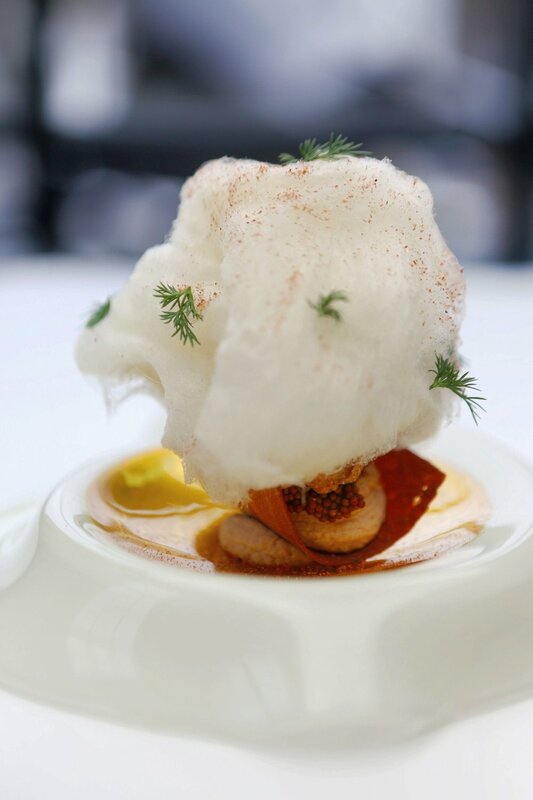 Whether its a 3 course meal, a ten course degustation or 100 person cocktail reception, The Test Kitchen experience is designed around each individual guest's needs. Allow Chef Phillip L. Lopez and his team to assist in planning an evening to remember. All requests can be made by filling out the simple form below with a brief description of your needs. A member of our sales team will be in touch with you shortly to help finalize your event. Thank you for your inquiry! One of our event specialist will contact you shortly to begin planning your next event. 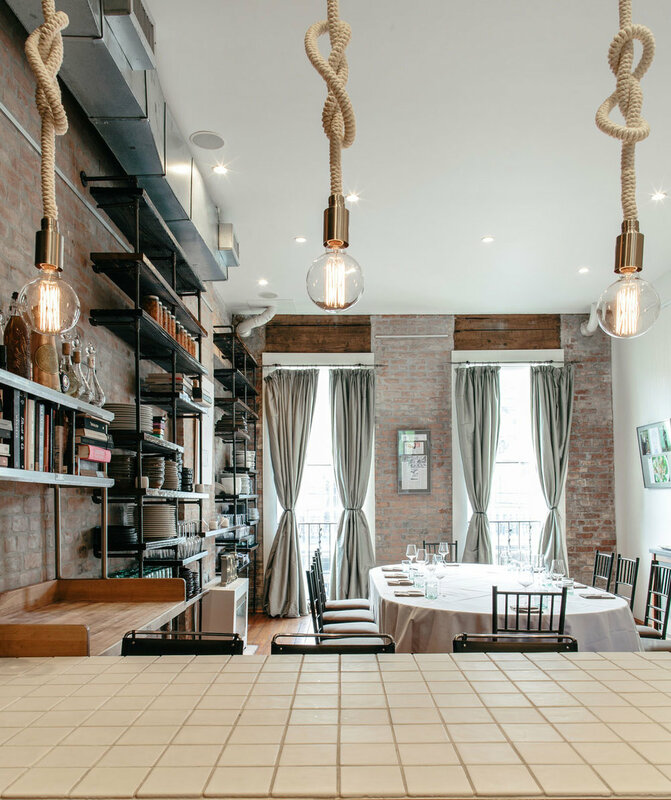 Petit Lion is Chef Phillip Lopez's interpretation of a Modern Parisian Bistro located within The Troubadour hotel at 1111 Gravier St. in the Central Business District of New Orleans, Louisiana. There is a distinct feeling you get when you walk down the streets of Paris and see the Architecture, feel the stone underneath your feet and smell the food and coffee in the air. New Orleans has so much in common with the senses of Paris, it just seemed natural to create a concept that gave praise to New Orleans' past while defining its future. Monkey Board is located on the 17th floor rooftop of the Troubadour Hotel at 1111 Gravier St. It is a food truck inspired fare and atmosphere without the actual food truck. Come have fun, throw a party, grab a bite to eat and share some large format cocktails. Even though we like to let loose, there still is "no monkey business" when it comes to the food and drinks!